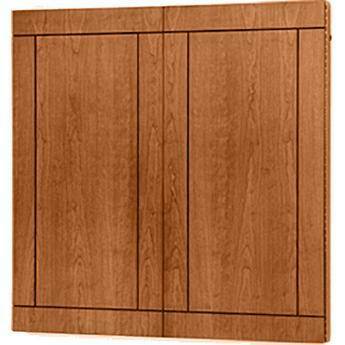 The Da-Lite Providence Conference Cabinet 72 x 48" (Cherry) uses a contemporary curvilinear design making it universally suitable for a plethora of applications including conference rooms, private offices and training rooms. Box Dimensions (LxWxH) 78.0 x 55.0 x 8.0"
Providence Conference Cabinet 72 x 48" (Cherry) is rated 5.0 out of 5 by 1. Rated 5 out of 5 by Scott from Very Professional Looking We put these up in our conference rooms. This finish is very professional and the whiteboards are very large. Make sure you have the space to open the doors as they have a 3 foot radius.